Carrie Brownstein and Taylor Schilling are some of the biggest female forces to be reckoned with in the entertainment industry. That's why it's little wonder that the small screen powerhouses have become so tight-knit. 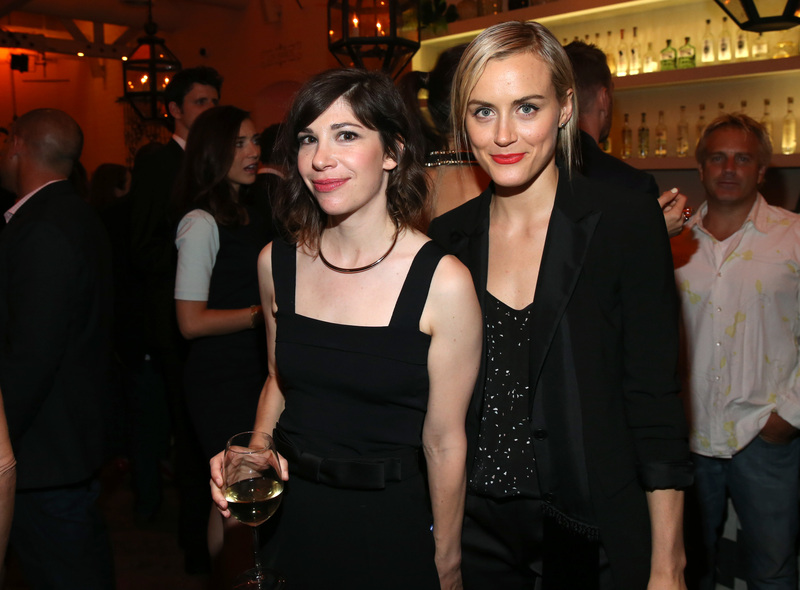 It has yet to be confirmed whether the actresses are just really close friends or perhaps something more, but it seems like many folks are on board with this great girl power team regardless of the status, so some fans may be wondering how Carrie Brownstein and Taylor Schilling met for the first time. Sadly, for the super-curious fans among them, it seems like their first time meeting is pretty mysterious. See, neither Brownstein nor Schilling have confirmed or denied the rumors that they are dating. And although sources out there have plenty to say about their reported spark together, no one can seem to come up with a specific location or story behind their friendship. The details about the Orange Is The New Black star and the Portlandia actress meeting are very sparse. However, there are a few hintsoffered by sources and by photo evidence of when the two first started hanging out. According to one source who spoke to Star magazine back in March, the two met "a while back" and there was an "instant spark." Well, that is certainly vague. But fans can get a pretty decent idea of when the two first started hanging out alone on a regular basis. Unsurprisingly, it was back in March, around the same time that the rumor mill started churning. Schilling and Brownstein were spotted out together in Portland, interestingly enough, which is the site, of course, where Brownstein films in and around for Portlandia. Go Local PDX, a local Portland lifestyle website, posted a photo of the actresses together online on March 17. They were seen in the downtown area of the city the past weekend and were spotted in at least two restaurants together during that time. Some Twitter users claimed to see the pair walking around the city together in various locations. So, while fans may not have an idea of when or where they exactly met, at least they have a clue about when and where they started becoming close. And at least they have a few snaps of social media warmth between the awesome ladies, regardless of whether they are actually together or not.